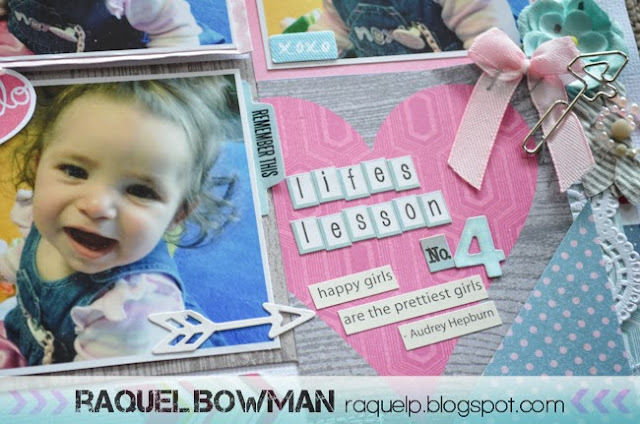 This months Show us your Stuff challenge is to use Multiple photos, arrows and a handmade item. Papers: White card stock, My Minds Eye patterned papers. Embellishments: Glitz Design alpha stickers, Sassafras Lass stickers, Making Memories Stickers, Flutterby Designs die cuts, American Crafts Tags, Bella Boulevard Flag, Basic Grey Bottlecap sticker, Prima Flower, Webster's Pages bow, D-lish Scraps Washi Tape, doily, My Minds Eye enamel dots, sequins. 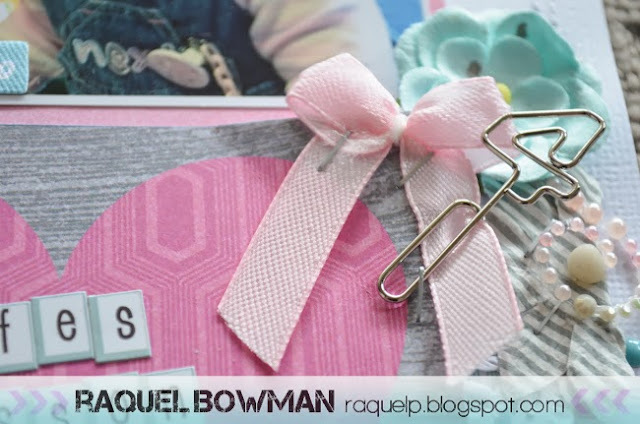 Love clusters and this Studio Calico 4 paperclip is so cute! Very cute photos!! lovely layout!